Pink palette provides 17 wells to organize and store cream foundations, eyeshadows, and lipsticks, as well as a place to mix custom colors. Features a finger hole and 3 spaces to hold cosmetic brushes. 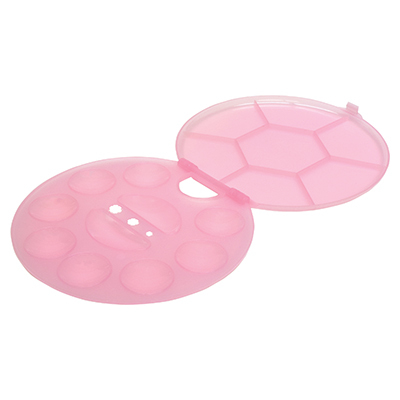 Great for make-up artists on-the-go! 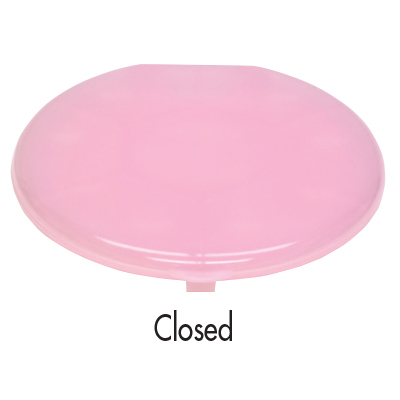 Easy to wash. 5-1/2" Diameter when closed.